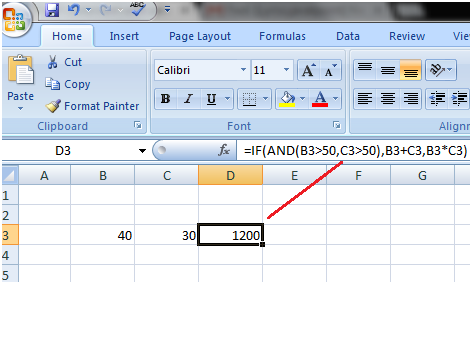 The IF function says if values of both cells B3 and C3 are greater than 50 then add these cells else multiply these cells. See the image given below. 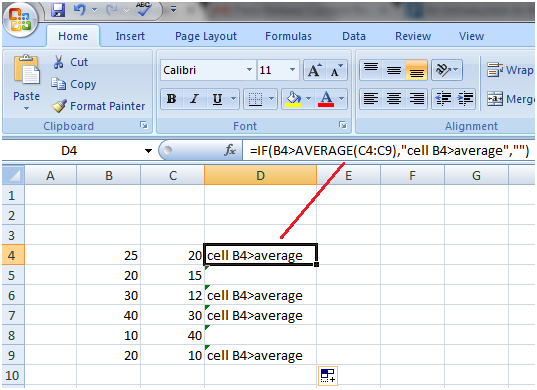 The IF function says if value in cell B4 is greater than the average of the cells from C4 to C9 then display "cellB4>average" else leave the cell blank.